Board games can be intense. One of the most hotly anticipated games of this year comes in a huge box with hundreds of pieces. Poring over rulebooks has become as much a part of the fun as playing the game for so many players. Layers upon layers are used to create incredibly complex and rich gameplay experiences that can last for hours on end. Into this fray steps Onitama, an abstract perfect information game from Arcane Wonders. 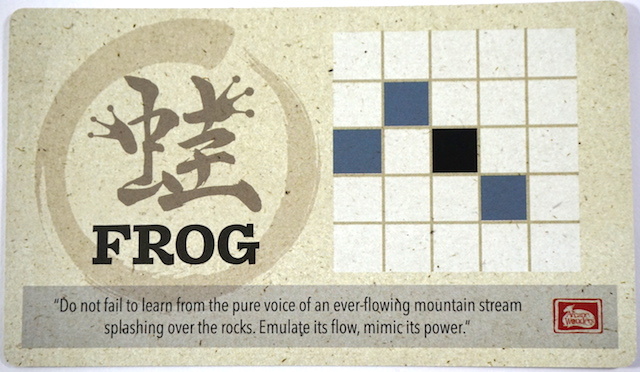 Onitama replaces complexity with elegance and layers with simplicity. 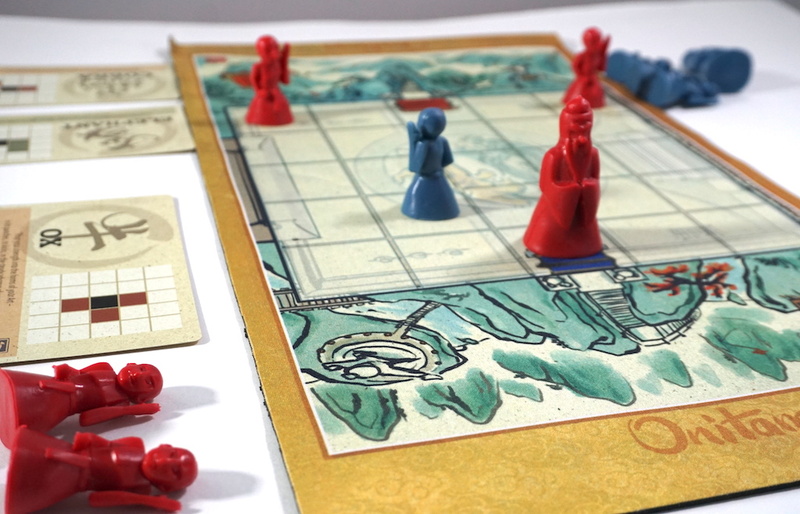 With a ruleset that could literally fit on an index card, Onitama delivers a quick, compact strategy game experience that allows its players plenty of room to breathe and ruminate on their next moves. The initial board setup of Onitama is simple. A neoprene playmat printed with a 5×5 grid makes up the playing field for the game. Players simply unroll the mat and place their five pawns along the indicated side with the master in the middle, on the temple space. Each side (blue and red) has four student pawns and a master pawn. Once all pawns are placed, each player draws two cards and places them face up in front of them. A fifth card is drawn and placed face up in the middle of the board. The icon in the lower right corner of the center card tells who the first player will be. Movement in Onitama is similarly simple. Each card has a different animal on it and a different set of possible moves. This black square in the center of the card represents the start position of any one of the pawns. Each shaded square is a possible landing place for the pawn that the player decides to move. Players can move any one of their pawns with either of the cards in front of them provided the landing spot is available. Once a player uses one of their cards to move, they swap it with the card in the middle of the table. In this way, the five movement cards will rotate between the players over the course of the game. There are two win conditions in Onitama. The first is to capture the opponent’s master. Piece capture works exactly the same way as you would think; landing on a piece captures it. If one player is able to capture the other player’s master, they immediately win. The other win condition is successfully moving one player’s master into the other player’s temple. This also results in an instant win. We first encountered Onitama at PAX Unplugged this year. In the sea of noise and confusion that surrounds any major convention, Onitama was a calm respite. Ten pieces and five cards make up a game that allows its players to cogitate and deliberate over carefully planned moves. Onitama is reminiscent of chess, but absolutely captures a level of simplicity that chess cannot harness. With just two available moves and with the same moves available for all pieces, there isn’t a lot of memorized strategy or technique to bring to the table, and that actually helped Onitama feel fresh every time we played it. We cannot understate its flexibility, either. 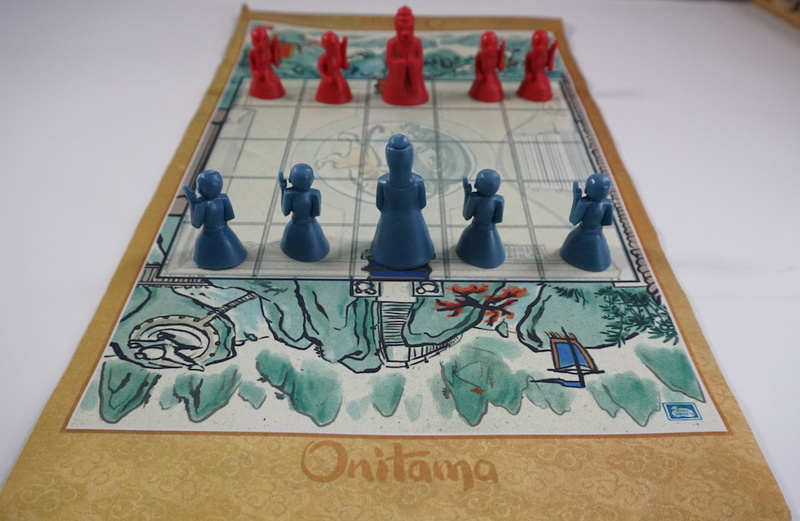 Players can treat Onitama as a filler game due to its short game sessions and ease of cleanup. 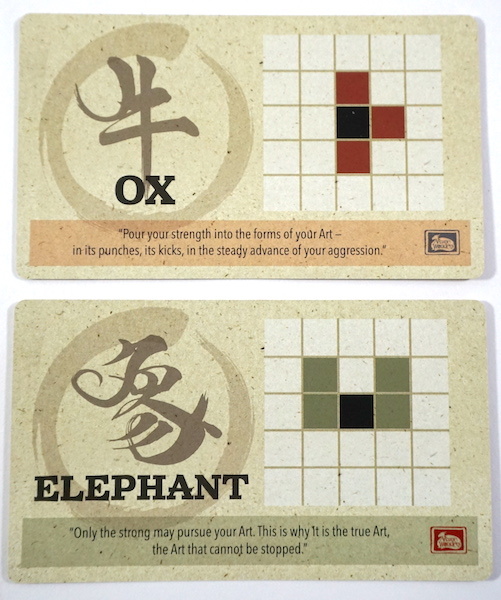 If, however, two friends wanted to connect over a game and play a number of sessions, Onitama’s movement card swapping allows for variance across multiple sequential playthroughs (there are twelve cards in the deck, but only five ever in play for a game). The movement mechanic is the game changer here. It transforms a basic abstract strategy game into something much deeper without adding a lot of complexity. Onitama is so unlike most of the other games we own, and we come back to it again and again. It is a fantastic game to bridge age and skill gaps, as the rules are so simple nearly anyone can understand them. We are delighted with Onitama and we know you will be too! You can find the base game of Onitama on Amazon for under $25. Its expansion, Sensei’s Path, is available for less than $15. 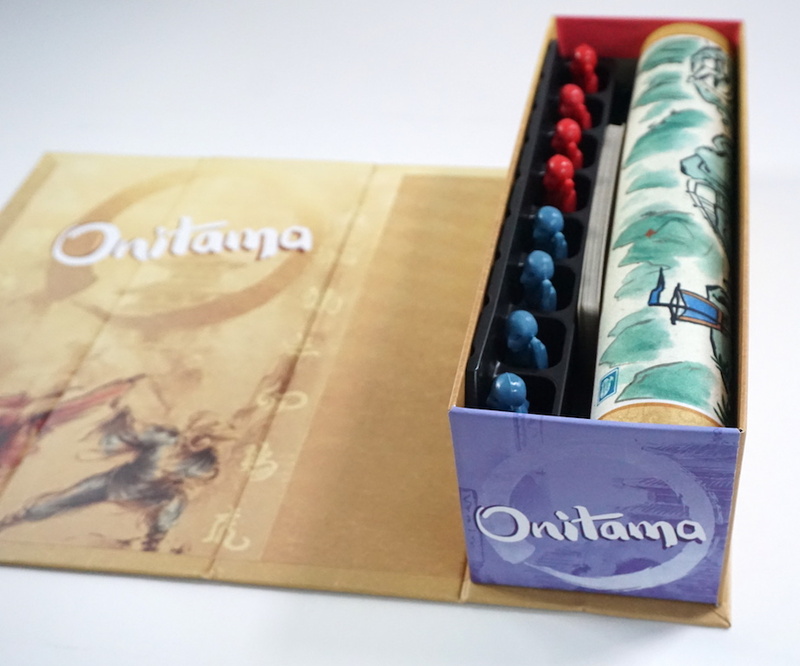 Arcane Wonders provided The Family Gamers with a complimentary review copy of Onitama.